In this review we take a look at what may very well be a legitimate contender as one of the best PVs on the market. 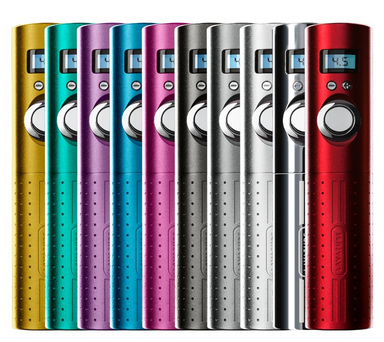 Today we review Volcano’s’ latest update to their signature product, the Lavatube. The new and improved Lavatube V2.5 boasts added security features to protect your unit, more compatibility, and superior vapor quality. We put the unit to the test and have all the answers you need. Looking for Volcano E-Cigs instead? Click here for the review. Copy & Paste at Checkout for 15% Off Discount! The brand Volcano spells quality in the vaporizer realm. 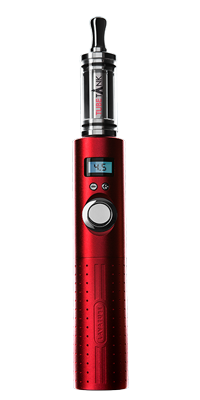 From their world renowned herbal vaporizers to e-cigarettes and eGo vaporizers, they have it all, and their flagship is the LavaTube V2.5, powers up to 15 Watts / 6 Volts with a solid quality finish and attention to detail. The LavaTube was designed with performance and quality in mind, with a solid microprocessor offering important features and huge vapor production. Volcano has been an innovator for the industry since the beginning, being one of the first to manufacture variable power vaporizers. They’ve now moved production out of China and have brought quality back to the table. The variable voltage unit, which is their claim to fame, is one of the most improved areas in this newest iteration; more on that in the “Power & Battery” section below. The overall quality was very satisfying and changing through functions felt very smooth with no lag. All of the hardware is housed inside of a 2 piece lightweight aluminum alloy case with a durable anodized finish offered in various colors and even chrome. The design features a super clear display and just three buttons. Just above the display you will find the two buttons meant for adjusting voltage along with the combination Fire/Power button. Simplicity really is better here as the design doesn’t feel cramped at all and the fire button is very comfortable. The LCD display is worth noting for presenting a gorgeous light-blue back light that contrasts perfectly with the black digits. Although it’s fairly a big device with the tank attached, it really feels much lighter than it looks. Another thing worth noting is the polished anodized finish along with how everything fits together, making it one of the more aesthetically pleasing devices out there. 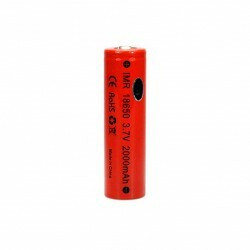 Volcano includes their own LavaCell High Drain 2000 mAh 18650 rechargeable lithium battery which comes with a 90-day warranty from date of purchase, ensuring you don’t end up with a faulty one. The high capacity cell certainly helps keep the vaporizer going when using high settings. Capable of running at up to 15 Watts and 6 Volts, it is part of the highest powered PVs on the market. Testing the device, we found it to operate and perform better than most entry level, lower-price point vaporizers with similar specs. Of course, it comes at an extra cost, but for those looking for the most vapor production and stable even performance, this one is a winner. The current amperage limit has been raised to 3.0 amps on the V2.5, up from the original 2.5 amps. The extra amperage means that your Lavatube is now compatible with a variety of third party atomizers which normally operate at higher voltages. The device allows to quickly check the atomizer resistance for quick tank changes. This is great if you’re a tinkerer like me as it’ll let you know if something is incompatible as soon as you connect it. Furthermore, the V2.5 is smart enough to reduce your voltage level if it notices that the current level is too high for the new attachment or shutting down your battery if your atomizer is shorted out. This pretty much makes the whole device idiot proof as this circuit breaker protects both your battery and any atomizers you attach to it. The all new LavaTube tube tank is nothing short of state of the art and plays an important role in the performance of the vaporizer straight out of the box. Although you can purchase the stand-alone PV for just $80 and use your own tanks, if you don’t want to play around with different tanks to find the one you like best, the TubeTank included in the starter kit is a really great fit for this device. The new tube houses a cotton polyfil cartomizers which continuously feeds e-liquid to the wick and element via a hole in the center. It’s also important to note that the cartomizers come in two levels of resistance. 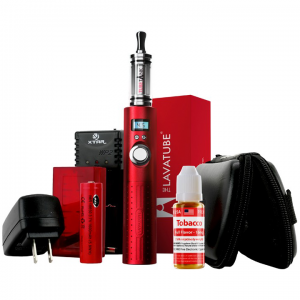 The starter kits give you the option between a 4ml (1.5 ohm) or 7ml (3 ohm) cartomizers. It’s important you note that the 1.5 ohm cartomizer is not designed for voltages above 4 volts. To experience the full power of the Lavatube you will either need the 7ml tank or you will need to buy a replacement 3 ohm cartomizer which is just $2.99. The cartomizers, drip tanks, and heating coils are all replaceable but as mentioned, if you already have your own, they 510 & eGo compatible threads will fit most aftermarket parts. The device has a nice bright display that can be read in the darkest or brightest of environments and helps you quickly change your settings without much trouble. The three-button interface includes the fire button; turn on/off and use, and two secondary buttons to raise and lower voltage and wattage settings. It has a battery level indicator that will alert you to charge the device when running low. The PV will also auto-detect atomizer resistance levels and even automatically reduce power settings if hardware detected is not rated to handle it. This is a great security that will save you from damaging any of your hardware. It did not take long to pickup on the device functions and how to browse through the settings, the dedicated functions also save your last settings in memory so you don’t need to start over when you turn it off. The voltage up and down buttons are used to both adjust power settings and browse the menu. Nothing out of the ordinary in terms of features, but everything you need in a high performance unit. The Lavatube definitely has a lot of things to love about it. It’s biggest plus is definitely the volume and quality of the vapor it produces. If you’re a long time vapor then I highly recommend you make the investment and try this unit out for yourself. If you’re thinking about trying e-cigarettes for the first time, then I would highly recommend you consider this investment. I can certainly understand wanting to try a cheaper alternative to start with but my opinion is that you will probably enjoy vaping more, and ultimately have a better chance of quitting smoking with a quality unit.